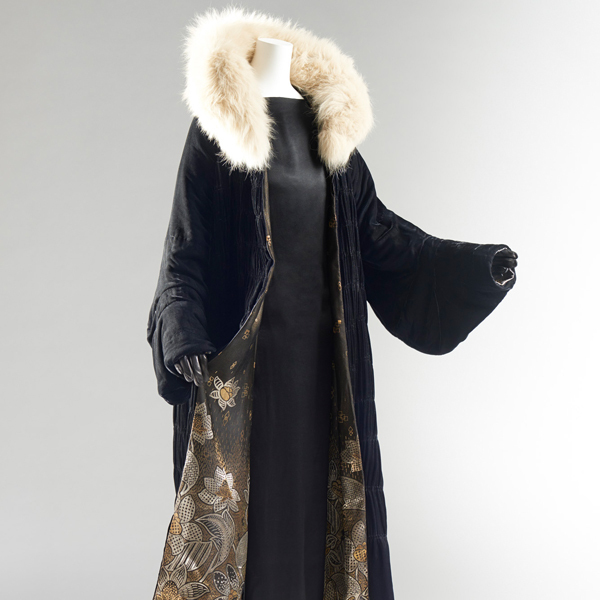 Black silk velvet with shirring; collar with white fur of Mustelidae; lamé jacquard lining with plant motif; padding. 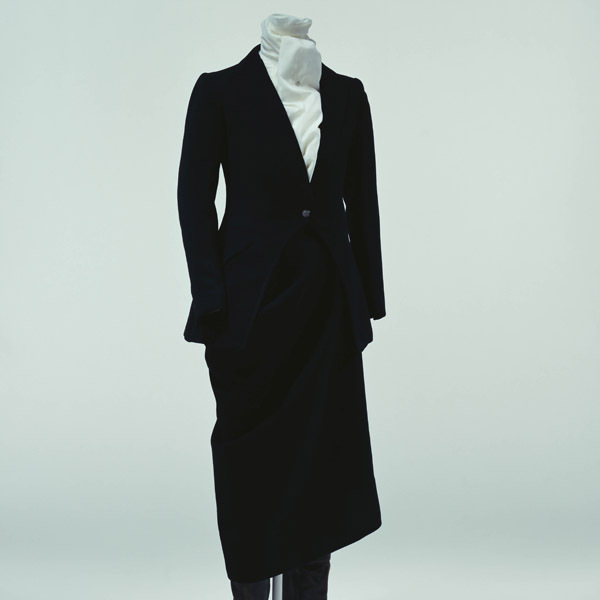 A coat with a serene air in plain black velvet has shirring over the whole body, reflecting light and giving the velvet a rich expressiveness. 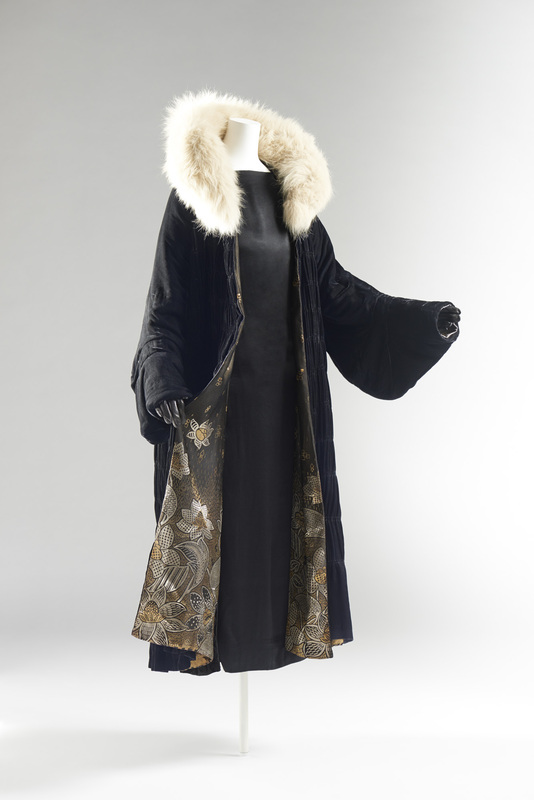 The collar is luxuriously trimmed in mink, providing a touch of splendor. 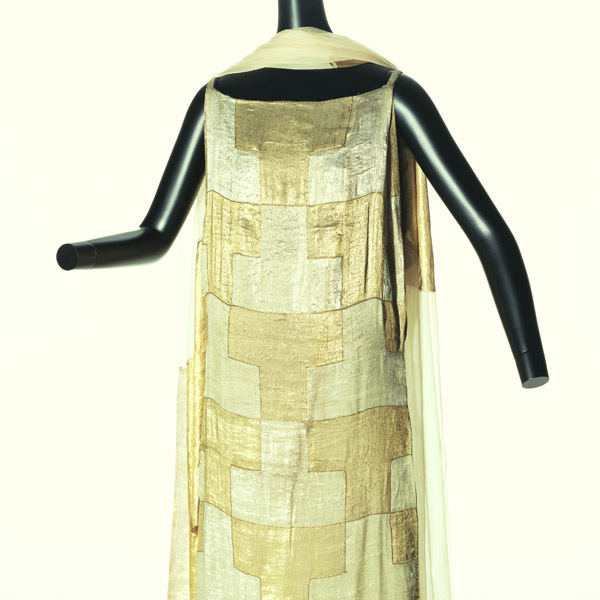 Moreover, a gorgeous jacquard weave lining in gold and silver lamé peeps out from the edges of the overlaps, presenting a flamboyant underside in a manner similar to “hakkake,” the lower lining of a kimono. 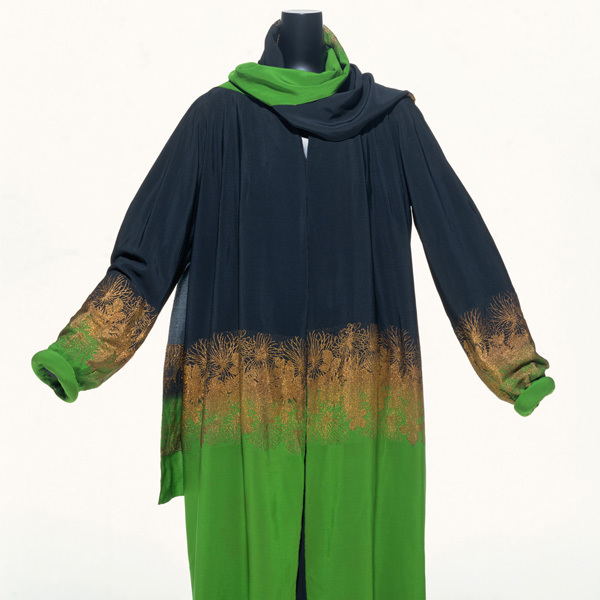 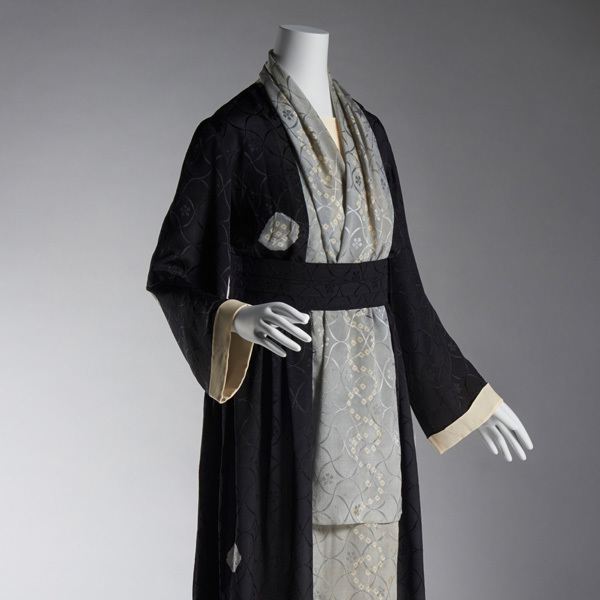 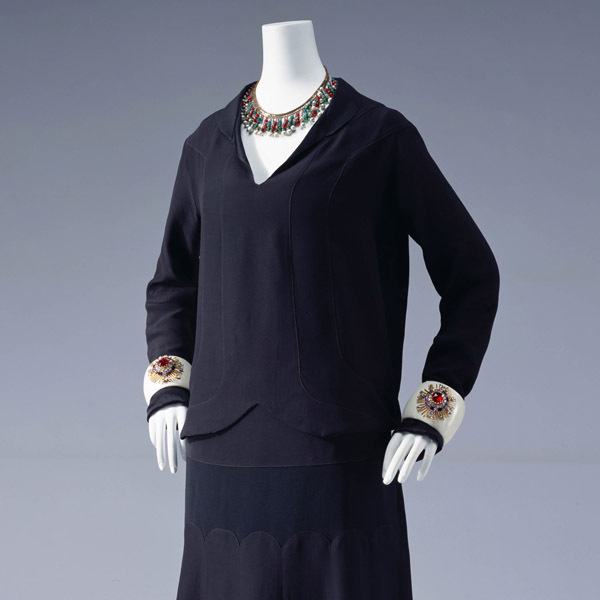 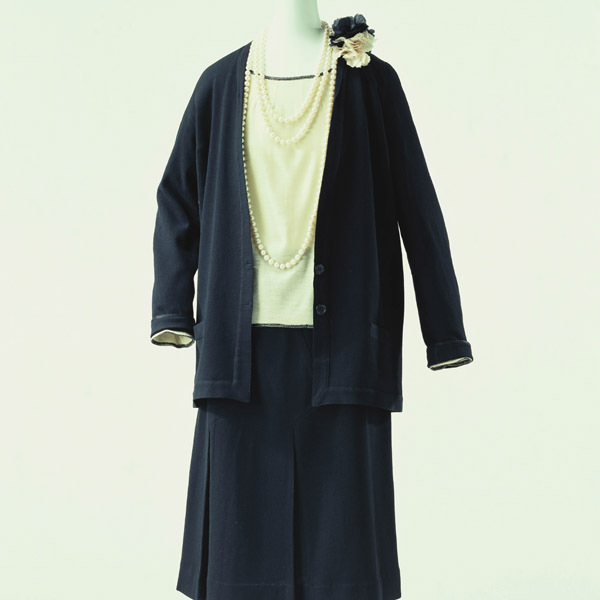 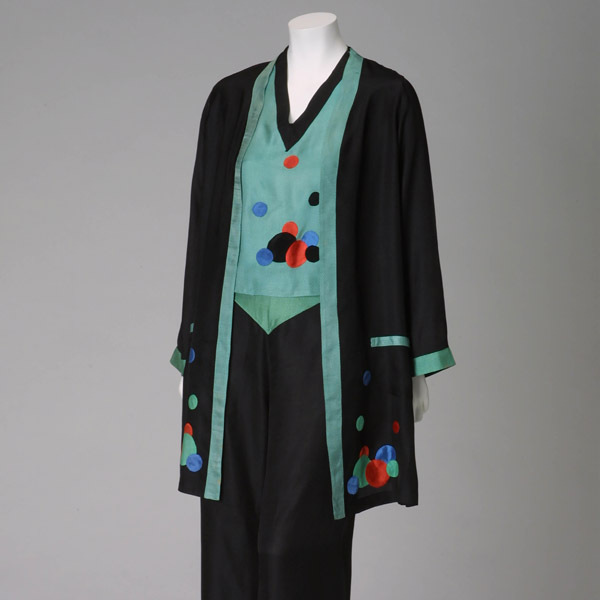 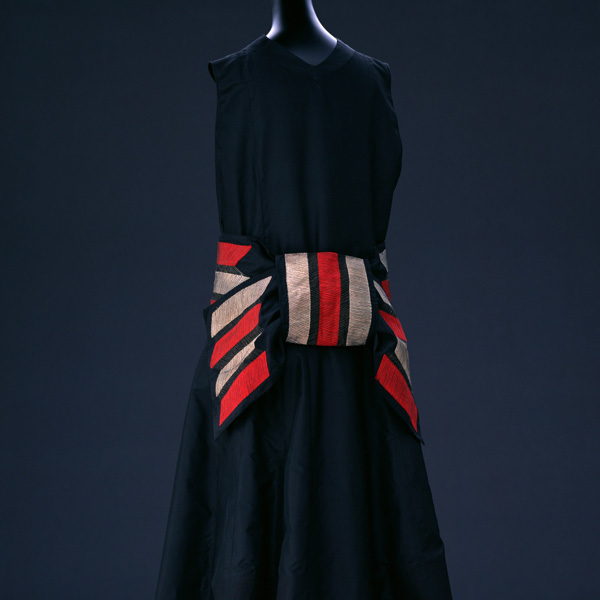 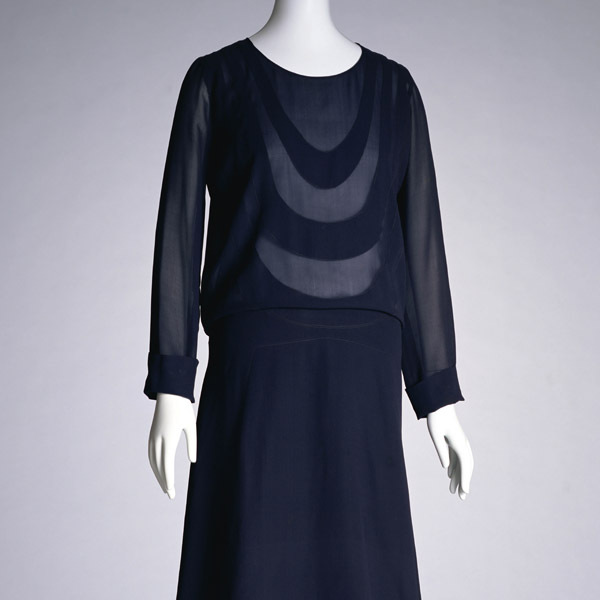 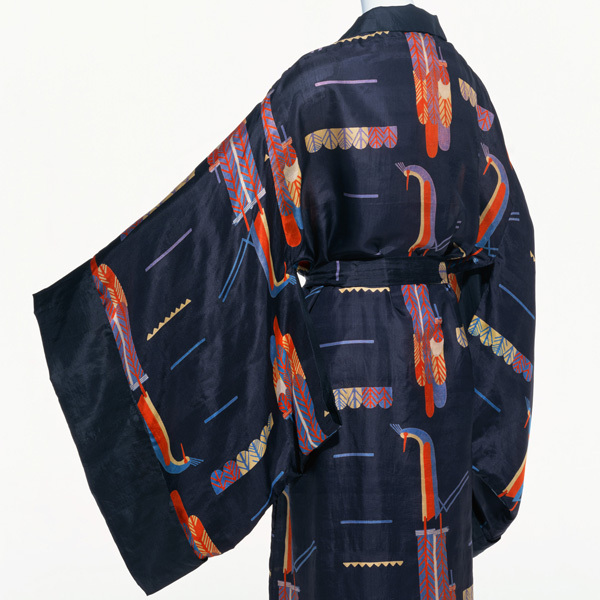 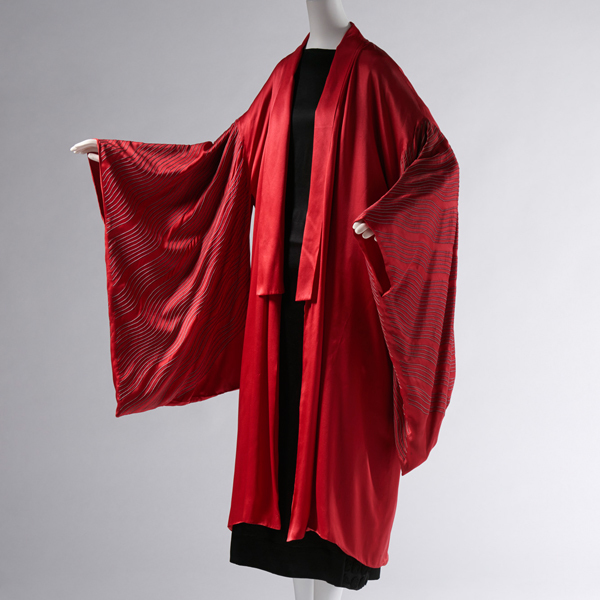 The straight-line designs of 1920s fashions were highly suitable for applying painterly patterns and motifs such as those used in “eba” kimono where patterns were aligned across seams. 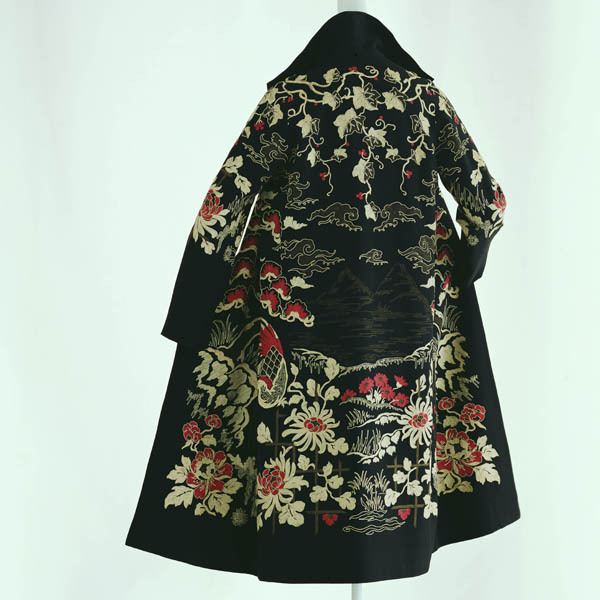 This textile design, which concentrates the motifs in the lower part of the coat, is often seen in dresses and coats of this period, and suggests influence from the arrangement of motifs in kimono designs. 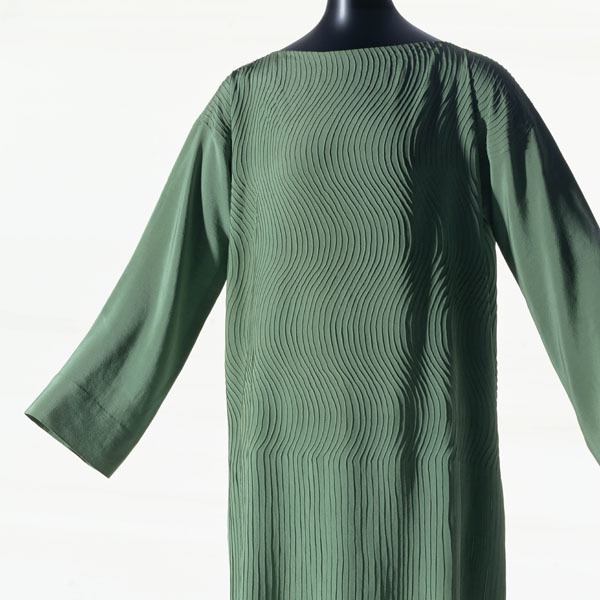 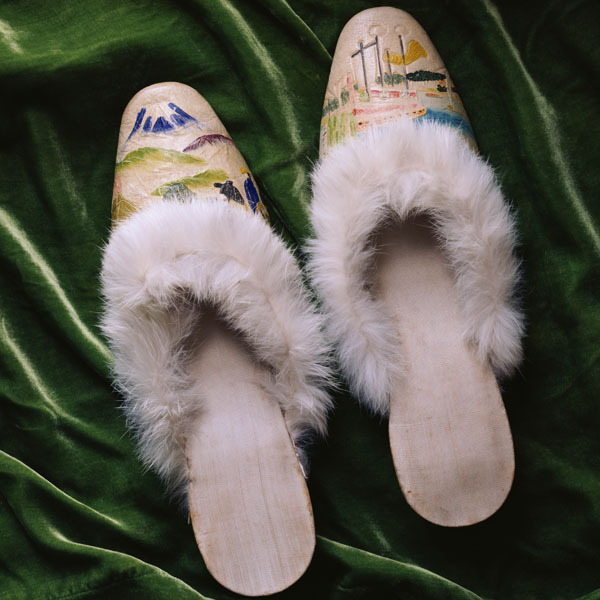 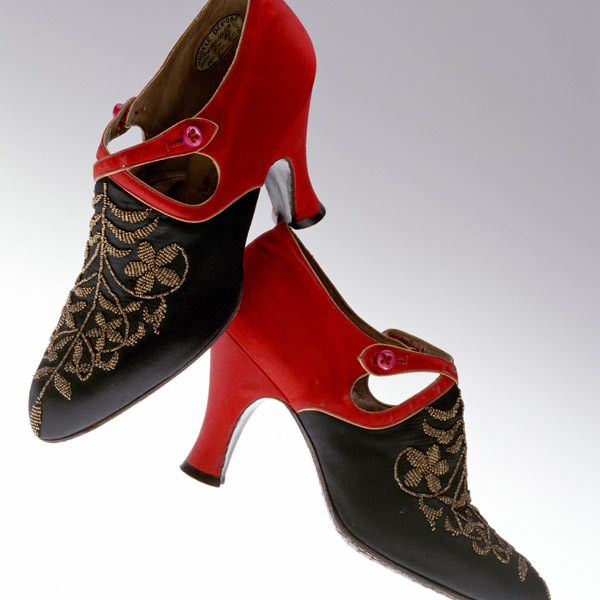 The textile used for the lining is the product of Ducharne, a renowned textile maker in Lyon. 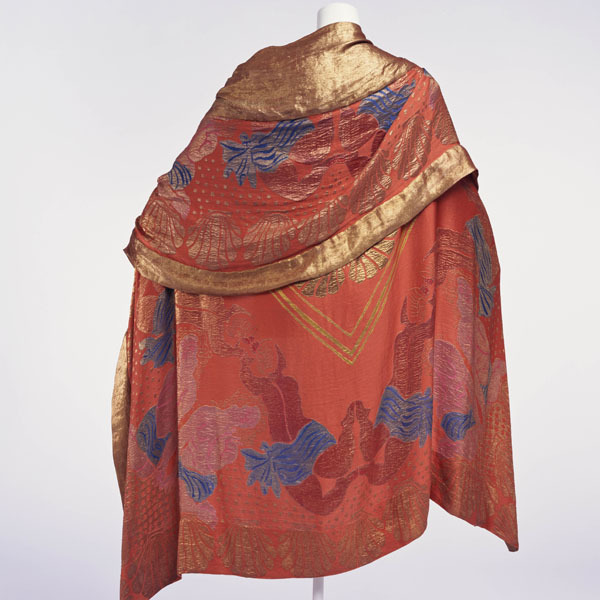 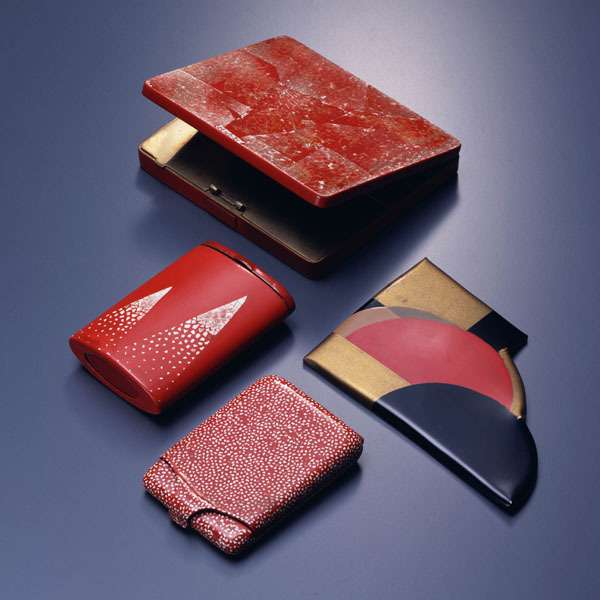 Lyon manufacturers often engaged talented artists to produce textile designs, and this is one of the small number of known examples of a design by urushi lacquer artist Jean Dunand. 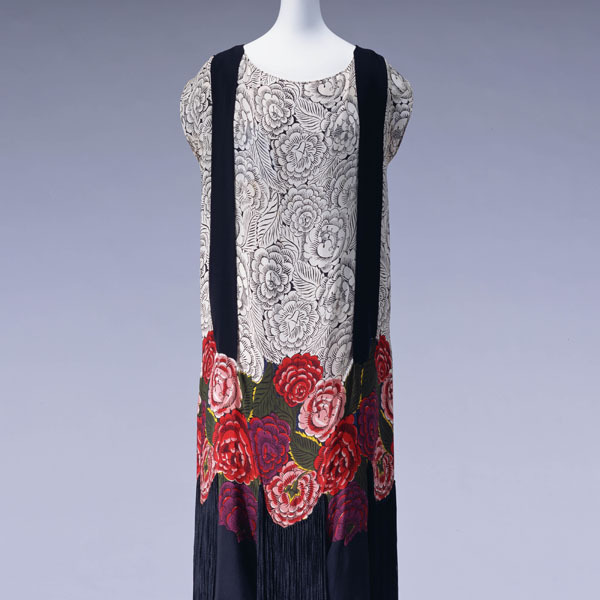 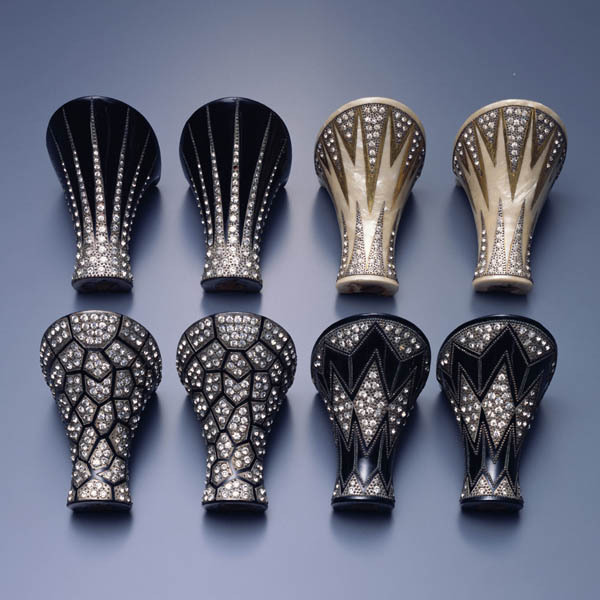 The flattened and abstracted flower patterns often seen in the Art Deco period are reminiscent of lotus flowers. 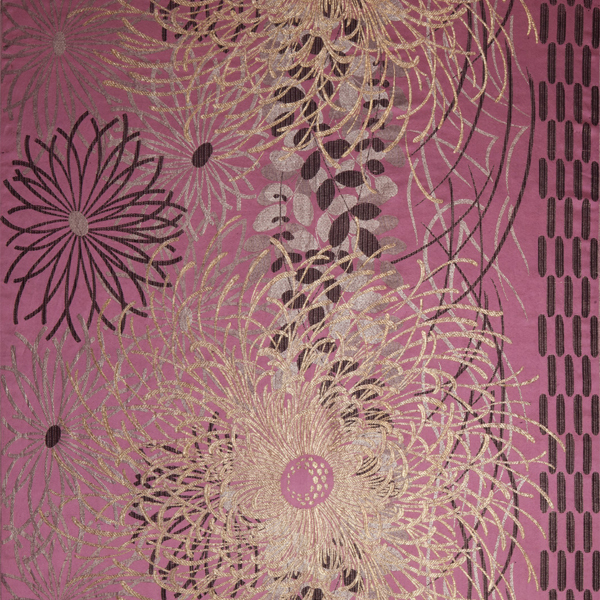 Dunand was fond of lotus-flower motifs, employing them for his laquered screens and beds. 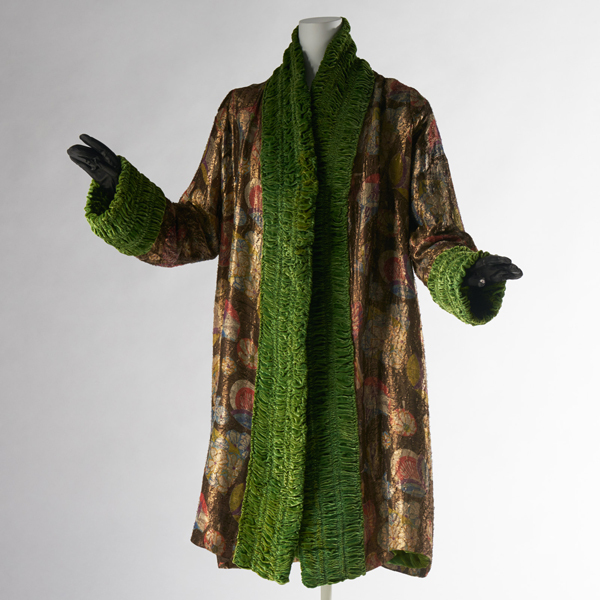 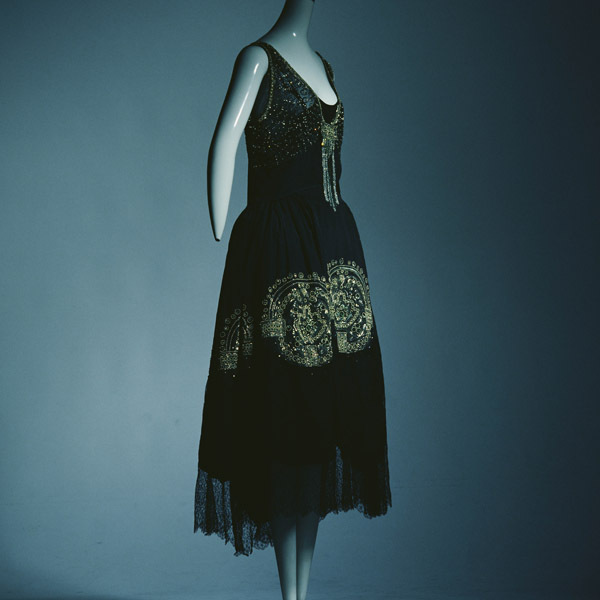 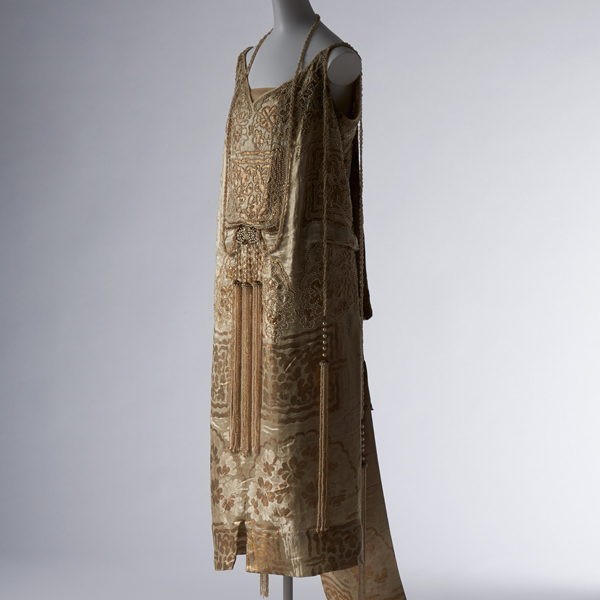 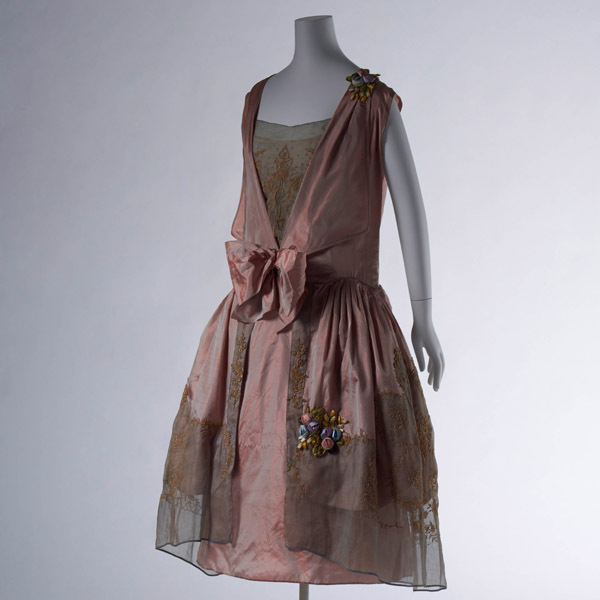 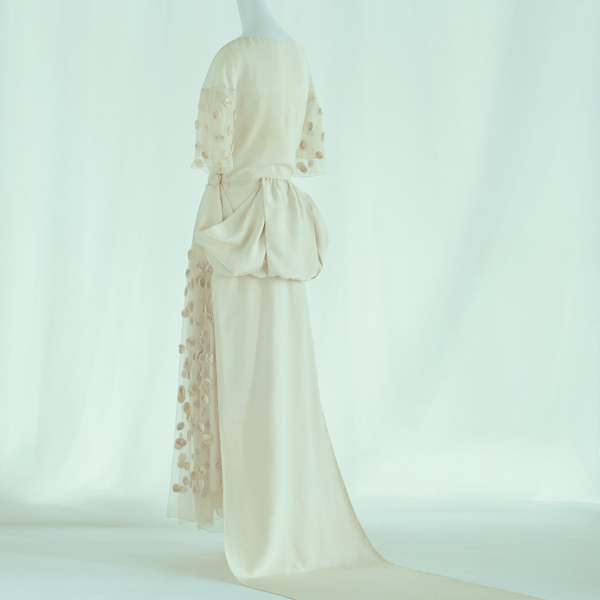 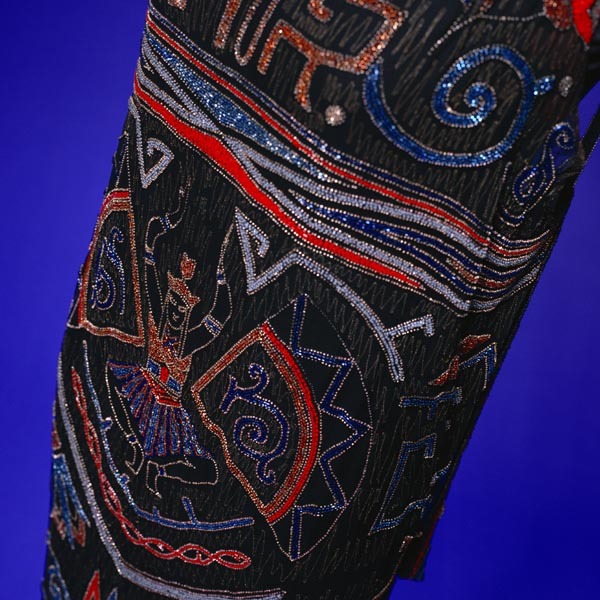 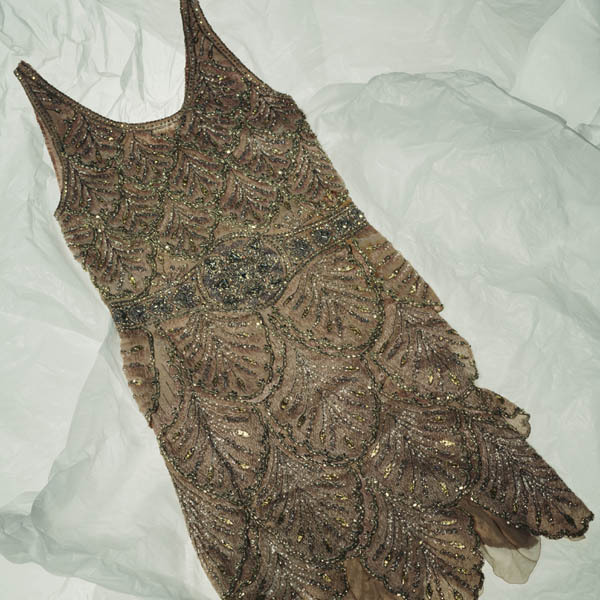 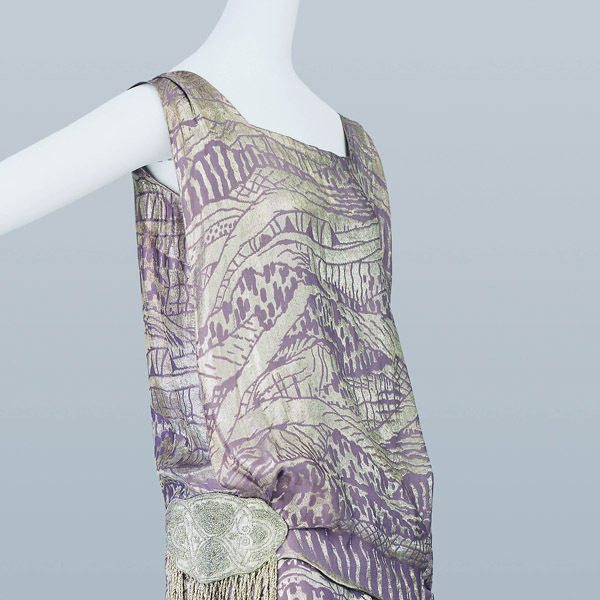 A dress produced by Maison Worth in 1925 in the collection of the Musée de la Mode de la Ville de Paris has a textile that uses the same pattern as this lining, but in a different color. 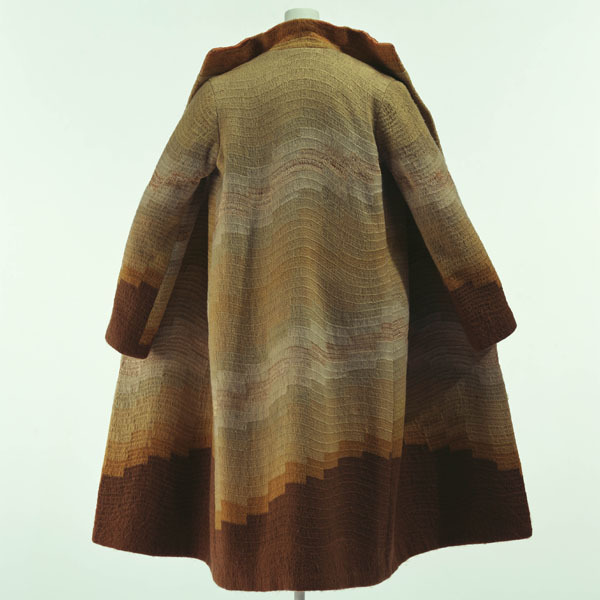 This coat is structured so that it can be worn inside-out, and abounds with clever techniques to conceal seam allowances and the like, bearing witness to the superb sewing skills of a Parisian haute couture fashion house.